Introducing PremierAccess, our innovative by-pass sliding door system, designed with added convenience in mind. 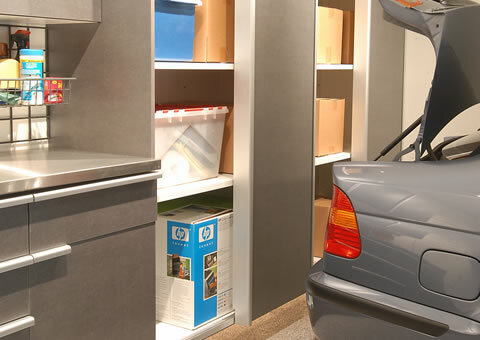 PremierAccess fits in spaces that don't have adequate room for swinging doors, allowing you access to your belongings without moving your vehicle. 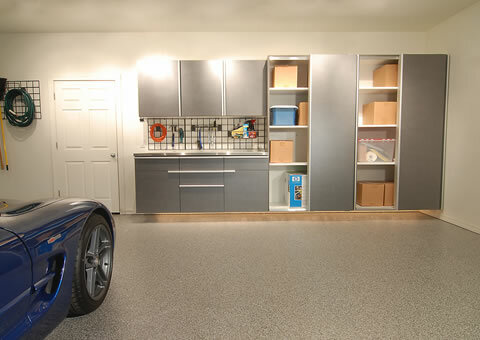 Beautiful, durable and engineered to the PremierGarage® quality standards you expect, our sliding doors feature an upper and lower roller track mechanism which prevents the doors from coming out of their tracks. 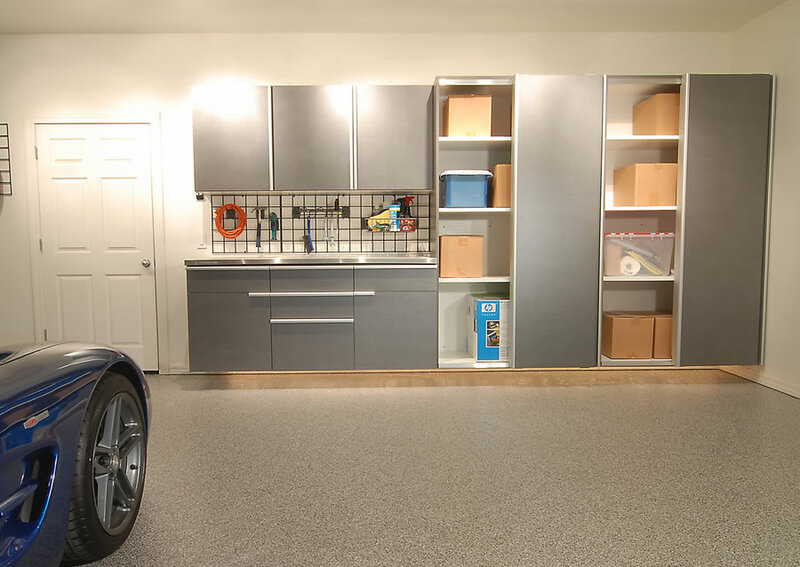 And, with its integrated full-length handle for smooth sliding action, PremierAccess makes it easy for you to navigate your garage. 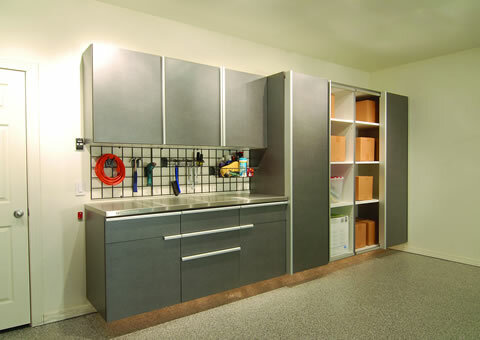 All of our cabinets offer standard hinged doors. However, if you are tight on space, consider the award-winning PremierAccess option. 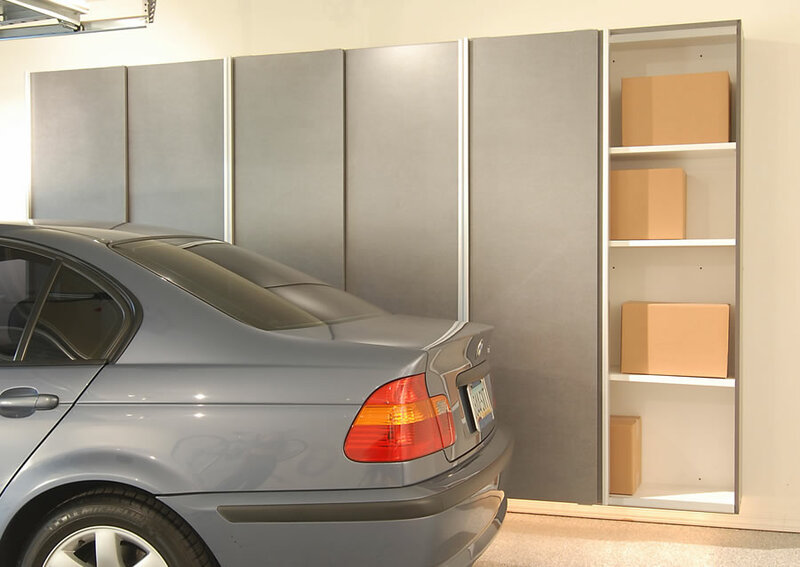 PremierAccess features an innovative by-pass sliding door system designed for maximum convenience. 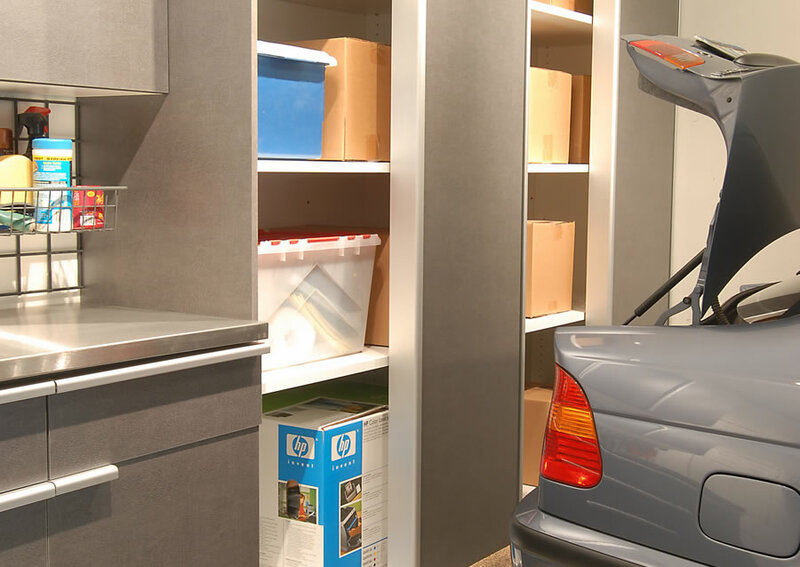 Ideal for smaller spaces that do not have adequate room for swinging doors, PremierAccess allows you to retrieve or store your belongings without having to move your car. 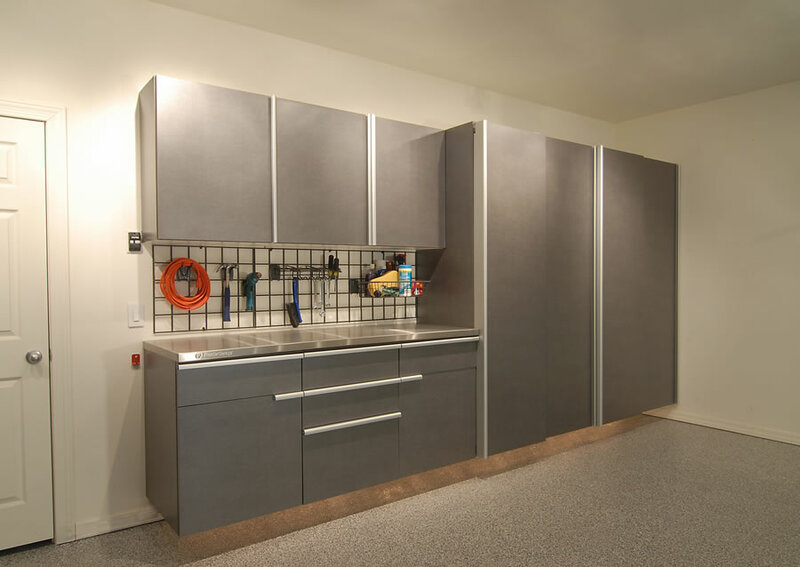 The durable PremierAccess cabinets feature an upper and lower track mechanism, which prevents the doors from coming out of their tracks, along with an integrated full-length handle for smooth sliding action. You can mix and match the new sliding doors with our traditional garage cabinets for the perfect arrangement to meet your needs.